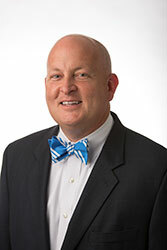 Dr. Keith Carver has been chosen to serve as the 11th chancellor of the University of Tennessee at Martin. His tenure as chancellor at UT Martin began on January 3, 2017. Entering his twentieth year of service at the University of Tennessee, Carver previously served as executive assistant to the president January 2011 to December 2016. Prior to that, he held roles at UT campuses in Knoxville, Martin and Memphis, including serving as interim vice chancellor for development and alumni affairs at the UT Health Science Center in Memphis and assistant vice chancellor for development at UT Martin. 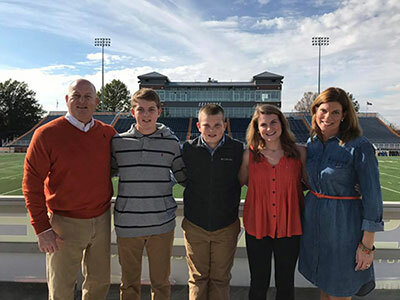 He held several positions at UT Knoxville including assistant director and director of development and alumni affairs for the College of Law, program director for the Office of Student Activities and co-director of TeamVOLS (community outreach and service program). Keith and his wife, Hollianne, are the parents of a daughter, Carson, and two sons, Jack Thomas (J.T.) and Britton.